Today’s society is perhaps more visually-oriented than ever before, with smartphone apps like Instagram and Snapchat making inroads in the social media market once cornered by Twitter and Facebook. This can mean that a multi-faceted marketing approach is crucial when it comes to expanding your business. 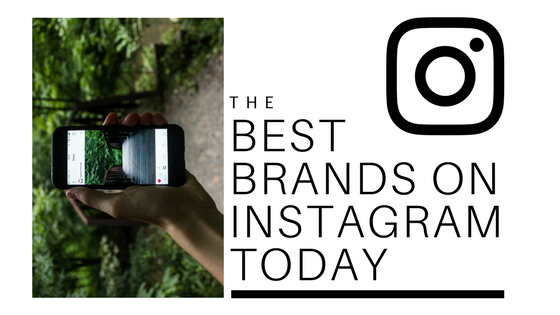 Read on to learn more about some of the best brands on Instagram today and how they’ve capitalized on this visual medium to expand their presence in their respective markets. Under the leadership of multi-billionaire Elon Musk, Tesla has already begun revolutionizing the motor industry — and with 1.6 million followers and counting, this tech giant doesn’t show any sign of slowing down. Tesla’s Instagram capitalizes on the aesthetic appeal of its vehicles while also using this platform to promote its other projects, from improving solar power to its Space-X mission to colonize Mars. This Instagram account also makes good use of video; and for a vehicle that reaches cruising speed faster than a sneeze, capturing these capabilities can sometimes be a challenge. This eco-minded outdoor supply company boasts more than 2.5 million Instagram followers — and with breathtaking views of its customers scaling mountain peaks, swimming through underwater caves, or rappelling down the side of a sheer cliff face, it’s easy to see why. Patagonia’s Instagram account showcases its items in use, not on the shelf — yet the wide variety of activities depicted can appeal to everyone from weekend warriors to serious sport and outdoor enthusiasts. Patagonia also incorporates giveaways into its weekly Instagram postings, encouraging followers to share posts or provide direct feedback in exchange for a chance to win; a marketing tactic that can provide a company with a great deal of exposure in exchange for a single free product. By developing cameras that allow users to take first-person high-definition video while skydiving, driving an Indy Car, or piloting a drone, GoPro has permanently changed the way people think of (and operate) video cameras. With 11.6 million followers, many of them GoPro owners and users themselves, it’s not hard to find spectacular user-generated videos — and indeed, GoPro’s Instagram content is entirely user generated. This marketing campaign allows the company to step back and let their fans do the promoting, an approach well-suited to a camera designed to capture the first-person experience. @RoryKramer showing off his #nightphotography skills during a cozy bonfire in the mountains of #Niseko, Japan this past week. Check out more of the adventure on our story. • • • Shot on #GoPro #HERO5 set vertically on the floor, night lapse mode every 2 seconds, 2 sec exposure, ISO 100max, WB auto. Subscription boxes are hitting peak exposure these days, with companies packing up and shipping assorted samples of makeup, shaving supplies, or even roller derby gear. Barkbox has brought this subscription service to pet owners, providing monthly samples of food, treats, toys, and vitamins for a flat rate. Barkbox’s Instagram account has hit upon the balance between joyful and heart-tugging, interposing user-generated videos of pups hilariously begging for their Barkbox treats with stories of pets in need at local shelters. By giving its 1.3 million fans both a reason to laugh and a reason to give back, this company’s marketing approach adheres to its pet-centric roots.